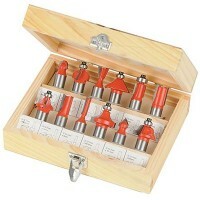 Silverline 792084 Router Cutter Set TCT Features 12 piece TCT router cutter set 1/4in sha..
Silverline 793749 Router Cutter Panel Door Set Features This set offers a low cost way of..
Silverline 656577 Router Cutter Set Features An excellent 24 piece set of TCT router bits..
Silverline 763555 Router Cutter Set TCT Features High quality 1/2in hardened steel body. 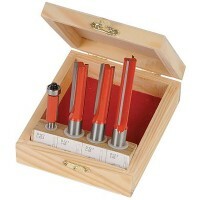 ..
Silverline 719769 Kitchen Router Cutter Set Features The complete pack for all kitchen fi.. 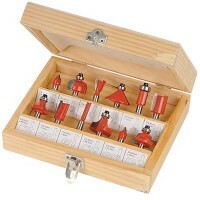 Trend 15 Piece Starter Router Cutter Set Features 15 piece set of TCT router cutters aime.. 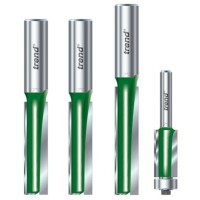 Trend Kitchen Fitters Pack Three Features 15 piece router cutter pack for use by kitchen ..
Silverline 580422 Router Cutter Set TCT Features 30 piece TCT router bit set with 1/2in s.. 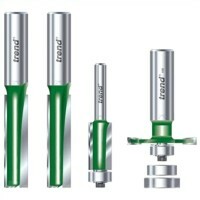 Trend Kitchen Fitters Pack Five Features 5 piece router cutter pack for use by kitchen fi.. 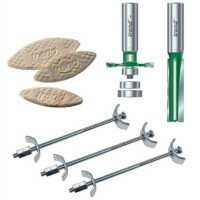 Trend Kitchen Fitters Pack Two Features Four piece router cutter pack for use by kitchen .. 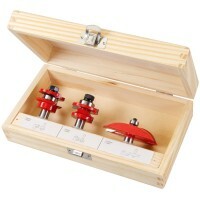 Trend CR/KFP/1 Kitchen Fitters Pack One Features Four piece router cutter pack for use by.. 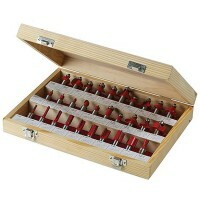 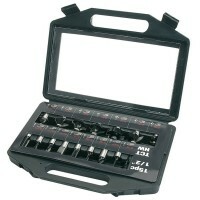 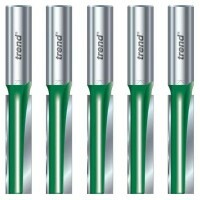 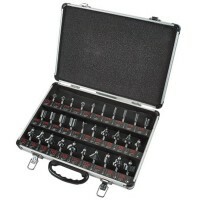 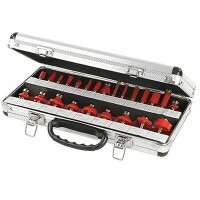 Trend Router Cutter Set Features Excellent 30 piece cutter set supplied in an aluminium c..